In California a man named Marcelino de Jesus Martinez was arrested when he called the police for help. No, the police didnâ€™t arrest him for being Mexican, (racist) he called because he needed help getting his 14 year old daughter back. 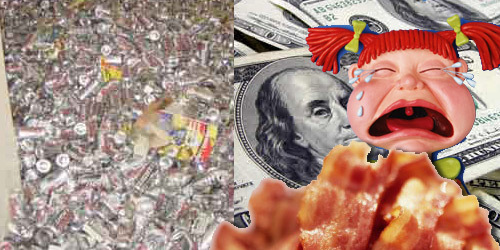 It turns out Jesus sold his daughter to his neighbor for $16,000, lots of beer, and meat. The neighbor then decided not to pay up, so Jesus decided to do the most logical thing and inform the police of his slave trade. Through out the report the type of meat was never disclosed, but if thereâ€™s one type of meat on this earth thatâ€™s worth a 14 year old Latina girl, itâ€™s got to be bacon. 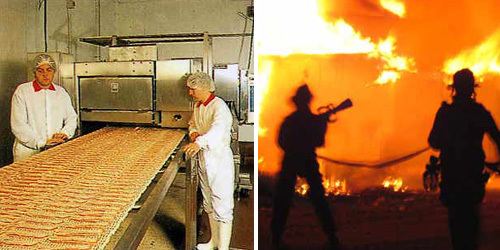 A bacon processing plant in Northamptonshire in the UK caught fire on January 13th 2009. More than 40 firefighters were called in to save the precious irreplaceable bacon. (They also helped save the employees from certain death.) The firefighters said there is no indication as to the cause of the fire and have opened an investigation. I donâ€™t think theyâ€™ll have to look too hard. Itâ€™s obvious what started the fire. This was the work of the most dangerous terrorist organization on the planetâ€¦.the Anti-Bacos! Itâ€™s about darn time that the world stands up against these degenerate vegetarian bullies. Until we do no man, woman, child, or bacon is safe. Editors Note: Sean has possibly made up this â€œAnti-Bacosâ€ movement since there is no evidence to back up its existence. As soon as we get information confirming the statements that Sean has made, we will inform the public with an official press release. Three Canadian Adventures set a new world record for the fastest trek across Antarctica to the South Pole. The 100 mile journey took them 33 days, 23 hours, and 30 minutes. The Men had to suffer through altitude sickness, vertigo, and huge blisters. The only thing they had to keep them going was the thrill of setting a world record and bacon. They ate a 7,000 calorie a day diet of deep fried bacon, cheese and huge chunks of butter. So, all you Nutritionist can shove that up your pie hole. These men set a world record on bacon, cheese and butter. If they had taken the â€œhealthy foodâ€ like salad, fruit and granola they would be dead. Luckily they knew all that healthy eating stuff was B.S. They lived and set a new world record. Thank you Bacon, the world needs you.